Well, if anyone can push out an idea far into space Elon can and so he like other politicians says whatever comes to their mind. 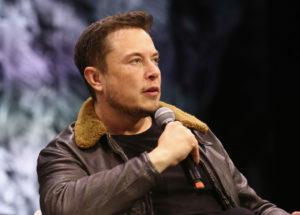 First, he mentions Go — computerized games are not AI and not a measurement of AI because they operate on a set of rules. Second, he mentions “driverless cars” that is closer to AI but again within limited operations as your car is not expected to be the chef of your dinner or babysit your children. speaks onstage at Elon Musk Answers Your Questions! during SXSW at ACL Live on March 11, 2018 in Austin, Texas.